You had no idea that something like a simple power outage could impact your family so quickly, but as the temperature outside rises and the cooling system inside refuses to cooperate, you begin to understand how vital it is that you get your power back on. You open the freezer to grab a frozen bottle for your warm neck and realise the temperature isn’t what it should be. You open the refrigerator and press your hand on the milk carton and wonder how much longer it’ll stay cool. 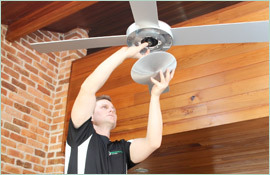 You need an electrician in Strathfield now! You never really thought about how costly an outage like this could be. You just did your “big shopping” yesterday and worry about all that potentially ruined food. You needn’t worry now. At Paul’s Electrical Services our skilled electricians in Strathfield understand the stress your electrical problems can cause. It’s easy to take for granted that our lighting and power simply ‘works’ until it doesn’t. Within hours of a loss of electricity, we begin to feel the negative impacts. From the loss of work time to school tardiness or spoiled food, a power outage can be a challenging experience. Our electricians in Strathfield will respond quickly and proficiently to meet your needs and get your electrical problems resolved. We will arrive with a fully stocked van ready for any job. 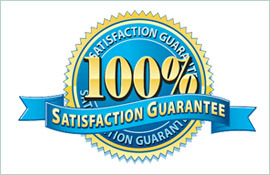 Upon completion, you will receive a lifetime warranty. 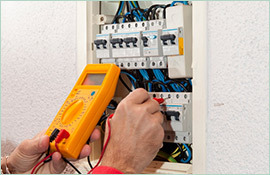 An electrician in Strathfield should be able to offer you workmanship that provides you peace of mind. 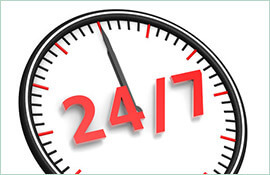 When you call on us, your safety will be our priority. Let us make sure your power is operating efficiently, and of course, let’s avoid a fridge full of spoiled food, too!